Are you looking for a list of great jobs for stay at home moms? You’ve come to the right place. The cost of living seems to increase each year — but for many people, salaries are almost flat. Adjusted for inflation, most households actually earn less today than they did 20 years ago. As a devoted mother, you want to be there during your child’s formative years. The reality, though, is that most households require two incomes to make ends meet. In 61.1 percent of households with children, both parents work. The good news is that, thanks to the Internet, there has never been a better time to work from home than right now. If you’re willing to work hard and make your own luck, you can be very successful working from home — and make a very handy living. The best part is that most opportunities for working at home are jobs with flexible work hours — so you’re free to step away from your work when your child needs you. Where will your new path as a working stay-at-home mom take you? Will you become a creator, or will you sit on the sidelines and profit from the daily twists and turns of the stock market? Will you work for a company that hires at-home workers, or will you bear the risk of launching a venture and becoming your own boss? The answer depends on your personal passions, skills and even your appetite for risk! What follows below is a thorough review of the best work and income opportunities for stay at home moms, but for those impatient types (like me!) 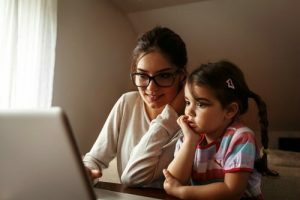 here’s the quick list of work opportunities for stay at home Moms, along with an indication of the earning potential from the experts at Payscale. If you’re looking for work at home jobs with flexible work hours, nothing is more flexible than working for yourself. As a self-employed stay at home Mom, you’re free to work whenever you have the time. You can explore the career paths of your choice. You can choose your own tasks, and you can even change jobs entirely if a venture proves unsuccessful. Whether you start a business or perform work for others as a freelancer, your venture is entirely your own. You don’t have to content yourself with a small wage while your employer keeps the majority of the profits — everything that you earn is yours. As a stay-at-home mom, working for yourself may give you the best possible chance to earn a significant amount of money. The downside of self employment is that your ability to earn money almost always depends on your ability to find clients. Before you begin earning money, you’ll have to struggle though an initial period in which you earn little or nothing. As a self-employed individual, you’re responsible for calculating and paying your own taxes. It may come as a bit of a shock when you file your first tax return and discover that you owe a significant amount of money. Every member of the workforce pays Social Security and Medicare taxes on his or her earnings. If you’re an employee of a company, your employer pays half of those taxes. If you’re self-employed, you’ll pay all of those taxes yourself. Set aside a good portion of your earnings for tax day to avoid a nasty surprise. English is the language of business. Across the world, parents are attempting to position their children for success by having them learn English. While teaching English as a second language once required adjusting an an unfamiliar place far from home, video conferencing technology has made it possible to teach English online. Online English lessons are popular with parents because learning online makes it possible for children to get more personalized attention than they’d receive in a classroom. To teach English online, you’ll need a computer with a webcam, a microphone and a stable broadband Internet connection. Most companies like VIPKid looking for English teachers also require candidates to hold bachelor’s degrees. You don’t necessarily need to have a teaching degree or certification, though — any bachelor’s degree will do. Some companies advertise that their teachers speak with North American accents. Those companies may decline your application if you were born outside of the United States or Canada. Compared to many online jobs for Moms, the pay for teaching English online is quite good. You can choose when to make yourself available for lessons, so online English teaching is a perfect job for a stay-at-home mom. Building up a list of consistent students can take time, though; you’ll spend a lot of your time idle when you’re new to the profession. Several new websites launch every second — and virtually all of those websites’ owners want to receive traffic from Google and other search engines. To receive traffic from search engines, though, a website needs text content. 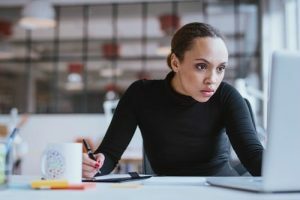 Although some website owners write their own content or hire writers, many outsource writing duties to freelancers because doing so costs significantly less than hiring employees. Writing is one of the most popular jobs for online freelancers because the amount of work available is almost unlimited. However, earning significant income as a freelance writer is difficult because you’ll have competitors from around the world. Many freelance writers based outside the United States are willing to work for far less than what you may consider a livable wage. You’ll have to prove that you’re capable of producing superior content. Until you demonstrate your credibility — and build a list of consistent clients — you’ll likely have to work for less than you’d like to receive as a freelance writer. The Balance wrote a great post recently on kickstarting a career as a writer. Working as a freelance photographer or artist may require a modest startup investment for equipment such as a camera or software such as Adobe Photoshop unless you can achieve a professional result with what you already own. 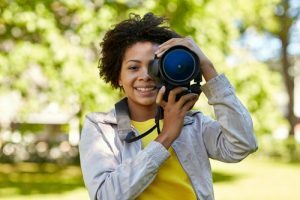 You can often earn higher pay as a freelance artist or photographer than you can earn as a writer because art and photography require specialized skills and equipment. However, you’ll have a great deal of competition from other artists around the world. As a writer, you can outshine the competition based on the fact that English is your first language. Language isn’t a barrier for artists, though — and artists elsewhere in the world may work for less money than you’d accept. You can find web design work through websites like Freelancer and Upwork that link businesses with freelancers. You can also advertise your services through your own website. One of the most attractive aspects of freelance web development is that your clients — when you can find them — will often pay a great deal of money for your services. Many people also find freelance web development very rewarding. You’ll learn new skills — and enjoy flexing your creative muscles — with each website that you build. The drawback of freelance web development is that finding work is often difficult. Search engine optimization is one of the core skills of website development, and your competitors have had years to solidify their search engine positions. Getting traction on the web so potential customers will see your name when they search for freelance web developers will require a lot of work. Finding steady work as a website developer doesn’t only depend on your marketing skills. You’ll also need to decide how much to charge for your services. 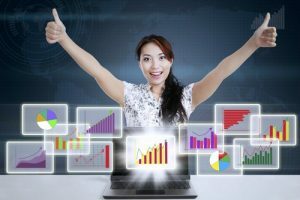 You can charge more if you can perform advanced functions such as custom coding or content creation — or if you can find affordable freelancers to perform those functions on your behalf. Charging affordable rates may help you attract more clients, but only you can decide how deeply you can discount your rates before the work is no longer worthwhile. When you sell your own products, you can potentially become quite wealthy — even sellers on marketplaces such as Etsy can potentially earn tens of thousands of dollars monthly. The drawback, of course, is that there is no guarantee you’ll earn any money at all. For success making and selling your own products, it helps to have strong marketing abilities. If you make your own clothing, for example, you’ll get a lot of attention if you can find Instagram celebrities to share pictures of themselves wearing your products. It is even more important, though, to find a unique niche. If you can think of a product that no one else sells — and it’s a product that people want — you will find success. There are many courses online such as Amazing.com which teach the skills necessary to succeed on platforms like Amazon. It is worth Googling around to find a course that teaches exactly what you want to learn about. If you have an eye for a good product but can’t think of anything that you can make yourself, you can try reselling products. Online marketplaces such as eBay and Amazon are great places for selling small items. You can place classified ads on websites like Craigslist to sell larger items to people who live locally. Almost everything has value to someone. You can sell CDs, DVDs, books, video games, kitchen goods, electronics — particularly if you know how to fix broken gadgets — and much more. As a reseller, you’ll need to pack and ship items promptly when they sell. Otherwise, you’ll have great freedom to work when you like because your product listings will do the selling for you. You can hunt for new products and create listings whenever it’s convenient. You have to find an item the original owner doesn’t want. You have to pay less than what the item is actually worth. You have to find someone who wants to buy the item at a higher price. Finding products to sell is easy, but finding products at prices that enable you to profit is difficult. If you avoid unnecessary risks when buying products, you’ll seldom lose money. It isn’t easy, though, to earn enough money to make the venture worthwhile. You don’t need to sit in an office all day to work as a real estate agent. If you have excellent organizational skills — having a supportive spouse also doesn’t hurt — you can have success in real estate as a stay-at-home mom. 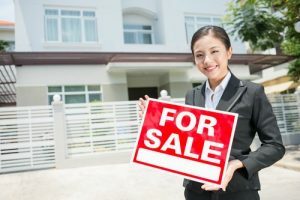 It is possible to do many of the tasks associated with real estate sales — showing homes, creating listings, prospecting for clients — during evenings and weekends. The drawback of working in real estate as a stay-at-home mom is that you’ll often find yourself at a disadvantage compared to full-time agents. If you can’t find someone to watch your child when a client wants to see a home, the client may choose another agent. Visiting the bank to close a deal is also something that you’ll typically need to do during the day. When you aren’t showing homes, you’ll need to spend time prospecting for new clients — leads won’t simply drop into your lap. If you have the organizational and networking skills to work as a part-time realtor while staying at home with your child, you’ll have an opportunity to learn the industry and develop your professional network. When your child starts school, you may have more time to devote to your career as a realtor — and since you’ll already have a feel for the industry, you’ll be able to accomplish a lot with your extra time. In a strong housing market, a good realtor can become quite wealthy. Day trading is less fashionable today than it was during the days of the dot-com bubble. It is possible to make money from the stock market during any economic conditions, though, as long as you know how to read the charts and execute the right trades. Day trading is an excellent job for Moms if you have a bit of seed money to invest and don’t have the time or inclination to market yourself or network with other professionals. You don’t need suppliers to be a day trader, and you don’t need customers. You only need money and a computer. You can watch the charts when you have time. When you don’t have time, you can set up automatic alerts that notify you when a stock’s activities might fit your trading strategy. Buying a stock is a calculated risk that you take based on your knowledge of the market, how you think other traders will react to breaking news and many other factors. People can and do lose money on the stock market every day. It is, therefore, not for the faint of heart or for people who can’t afford to lose money on a trade. If you are successful, though, day trading can support a lavish lifestyle. The direct sales industry has evolved past the Tupperware parties into which your parents were roped when you were a kid. Today, you can become a direct sales agent selling cosmetics, wine, food, jewelry, clothing — almost anything that you can imagine. Since you can demonstrate products at home, the direct sales industry can potentially be very lucrative for a stay-at-home mom. As an agent, you’ll earn a commission each time you sell a product. When you recruit new agents, you’ll also receive a share of their commissions. Direct selling isn’t for everyone. You can potentially strain your family relationships and friendships if you’re too enthusiastic about selling to people you know. You can cause further strain if you attempt to recruit friends and family into your network as fellow agents — something that many direct sales companies encourage and reward financially. Some direct sales companies also want their agents to purchase the items that they sell. You could potentially lose money if you’re unable to sell your inventory. Do you enjoy writing? Are you passionate about a particular topic? Affiliate marketing is a little like direct sales in that you recommend products to others and earn a commission when you generate a sale. With affiliate marketing, though, there’s no need to worry about harming your personal relationships because the people who buy products through you will be strangers. Affiliate marketing is also great for people who fear rejection because you’ll never actually meet the people who see your sales pitch. 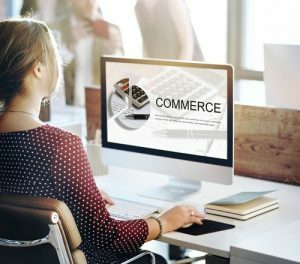 Affiliate marketers generally market products through websites — and since operating a website is much easier today than it once was, getting started requires very little technical knowledge. This is an example of how affiliate marketing works: You have a blog about running. One of your articles is a review of a pair of running shoes. In the review, you insert a link to that pair of shoes on Amazon. Someone clicks the link and buys the shoes. Since you are an affiliate, Amazon pays you a commission for the referral. Affiliate marketing can eventually blossom into a very successful business. If your blog becomes a trusted and authoritative source of information about running, you could publish an article such as “The Best Running Shoes of 2017” and expect thousands of people to visit it daily. Since the article would attract traffic from visitors with definite commercial intent, it would likely generate hundreds of dollars in affiliate commissions every day. The downside of affiliate marketing is that there are already plenty of trusted and authoritative blogs about running — and practically every other product-oriented topic that you can imagine. Your success will depend on finding a niche with little competition or working very hard — possibly for years — to build a strong online brand that outranks the competition on search engines. Affiliorama is a great resource for learning more about affiliate marketing. Although finding success as an affiliate marketer is hard, it isn’t impossible if you choose the right niche and write engaging content. The most successful affiliate marketers often become millionaires. Another benefit is that affiliate marketing has almost no risk. Starting a website only costs a few dollars. If you write your own content, your domain registration and hosting costs will be your only expenses an affiliate marketer. If your venture isn’t successful, you won’t lose a meaningful amount of money. 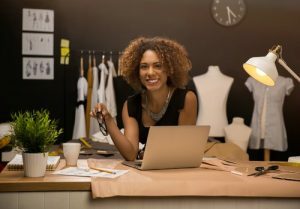 If you aren’t willing to weather the storms of self employment, finding a company willing to employ you as a stay at home Mom may be a better option. As an employee of a company, you may have less ability to set your own hours than you would as a self-employed individual or freelancer. Your hourly wage may also be slightly lower as an employee — but you won’t have to spend time prospecting for new clients or trying to close deals. As long as you remain with your employer, you’ll always have work available. Some companies that employ stay at home Moms also provide benefits such as health insurance and retirement plan funding. Many companies hire at-home representatives to answer or place calls from home. Some of the most common jobs for at-home telephone workers include customer service, technical support and telemarketing. The requirements for at-home telephone work vary depending on the needs of the hiring company. Some companies may route calls to you over the Internet, in which case you’ll need a reliable Internet connection and a headset to take calls. Other companies may use standard telephone lines. If a company routes calls over telephone lines, you’ll need a wired phone line to take calls; a mobile phone generally will not work. Call center work is sometimes stressful. You may occasionally deal with angry customers and will have to learn how to diffuse tense situations while you work to resolve customers’ issues. The call center industry tends to have a high turnover rate, so many companies never stop hiring new representatives. 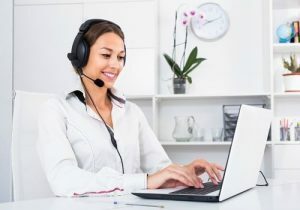 Although previous call center experience may help you to land a position, most companies do not require customer service representatives to have prior experience or special training. If you’re familiar with data entry — typing text from images or paper documents into a computer for storage and processing — you already have an idea of how medical coding works. Medical coders read patients’ records and translate conditions, symptoms and treatments into numerical codes for billing and record keeping. 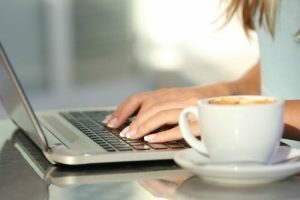 Since medical coding primarily involves typing on a computer, it’s an ideal job for a stay-at-home mom. Experienced medical coders can earn more than $50,000 per year, but it’ll be a while before you earn that much. Before you can begin work as a medical coder, you’ll need a relevant degree or certification. The best stay at home medical coding jobs require candidates with extensive experience, which means that you may need to have held a medical coding job in a local clinic or hospital for a while before you’ll be a viable candidate for at-home work. A claims adjuster is someone who takes calls and investigates claims on behalf of an insurance company. As an adjuster, you will be responsible for taking calls from clients, inspecting damage and speaking to witnesses in an attempt to determine the insurance company’s liability in a claim. You may also need to visit homes or accident locations. Although working as a field adjuster will require you to spend some time working outside the home, you will have some amount of schedule flexibility. You’ll spend most of your working hours on the phone — something that you can do at home. To become a claims adjuster, you’ll likely need a degree or certification. Because there are often more applicants for claims adjustment jobs than there are open positions, many companies look only for adjusters with prior experience — so getting into the field can be difficult. When a major event such as a hurricane or winter storm occurs, job availability for claims adjusters increases greatly. If you can travel to inspect damage after a natural disaster, you’ll gain valuable experience that can help you land an at-home position as a claims adjuster. The salaries for work from home claims adjustment jobs are often quite good, but the job can be very stressful. 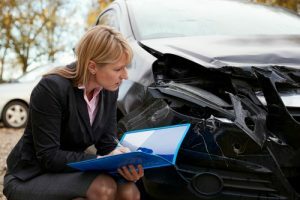 You’ll receive calls from angry, scared and injured people who have suffered property damage or experienced car accidents. You’ll also receive calls from police, lawyers and other insurance companies. To be successful as a claims adjuster, you’ll need to have excellent organizational and interpersonal skills. You’ll also need to handle high stress levels without allowing the stress to affect your family life.